Update: Valve says the rumor is untrue. 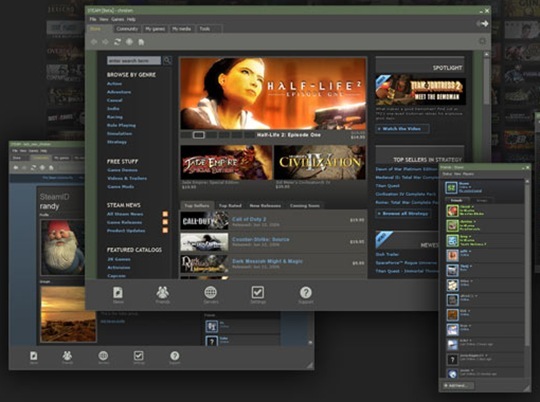 Aside from developing games like Half-Life 2 and Portal, Valve is a developer of the Source game engine and Steam, a broadband platform for the delivery and management of digital content. And it’s Steam (more than any other facet of the company) that Google may have its sights set on. At first glance, Google acquiring Valve seems a little unorthodox. But considering Steam is the best game distribution platform on the market, maybe Google is trying to solidify its position in that space and branch out from its comfort zone. Steam is so easy to use and such an ideal platform for so many that it currently services over 15 million active users who are downloading over 440 games — a feat that’s simply unrivaled in that market and worth quite a bit to a company like Google. But the question still remains: does Google, a service provider and content distribution company in its own right, really want to distribute content through Steam? More importantly, does a Valve acquisition fit? It’s tough to say. Ostensibly, Google would want to acquire Valve to take control over the digital distribution business, which is ushering in an era of downloading games directly to consoles without physical media and the company could even use it as a new means of software distribution. And by owning some of the most celebrated titles in gaming to-date, Google could also establish a foothold in the gaming business. In the end, whether or not Google acquires Valve will depend on its desire to extend itself into a new market. And when taken at face value, it seems like a smart move.